Click on any of the thumbnail images below for the full size view. Good shot for magazine cover. 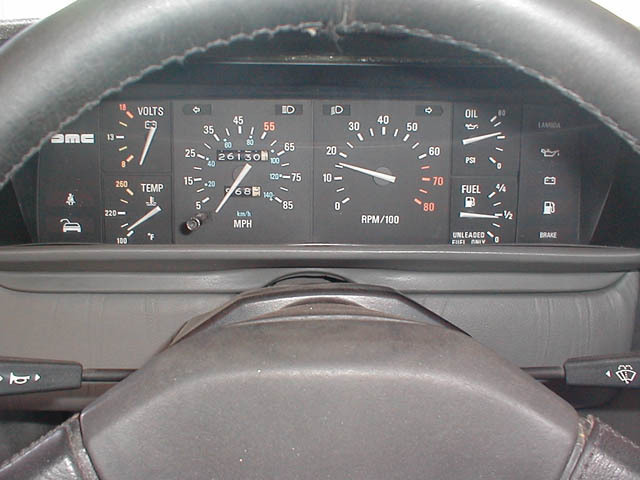 Body lines with door shut. 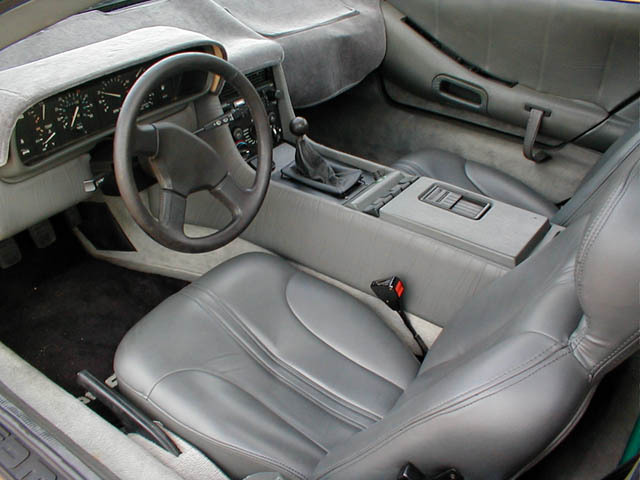 Interior shot with the old dashmat. 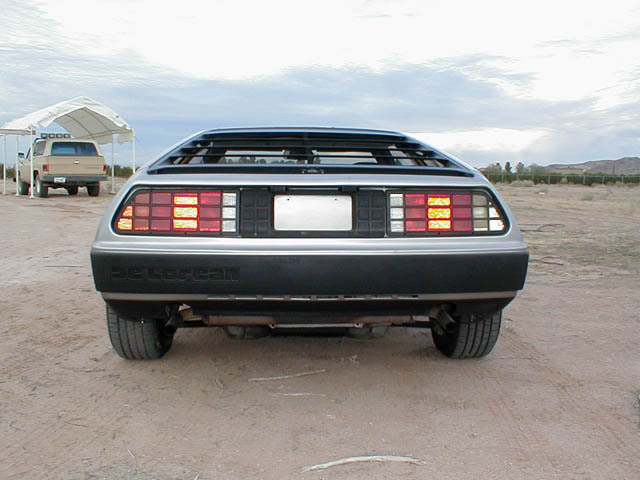 Before the license plate was installed. Before my new right tail light. 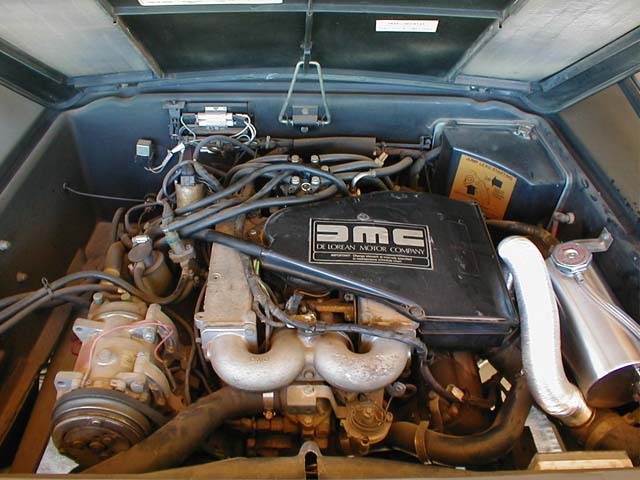 Engine before the EFI swap. 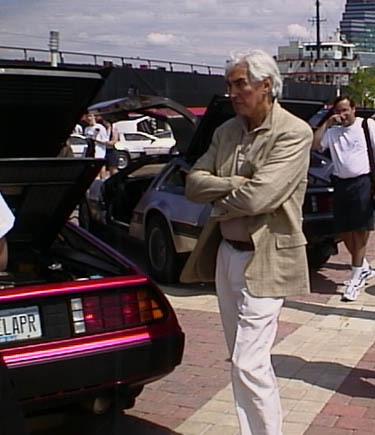 Gauges before the 140 speedo..
Click here to see a picture of John Zachary DeLorean (taken by someone at the Cleveland DeLorean Car Show). Click here for quotes and reactions from people on the street when they see the car for the first time. Click here to see my bent passenger side Trailing Arm Bolt. 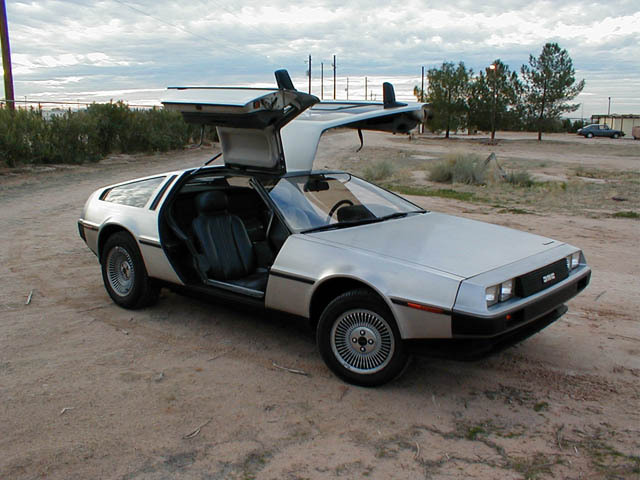 Click here for DeLorean FAQ. 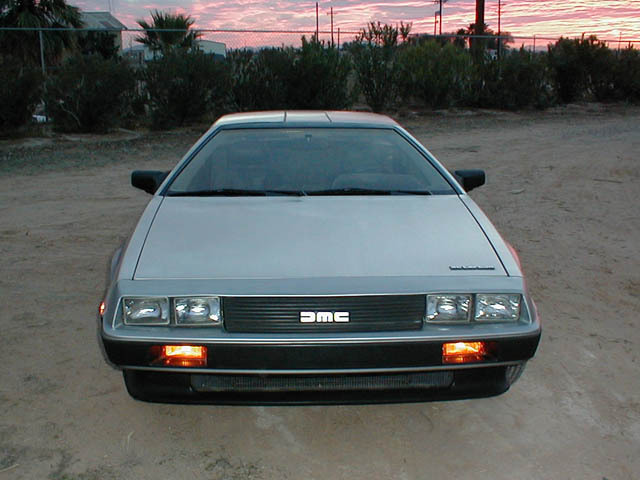 Click here for the official Arizona DeLorean Club website. 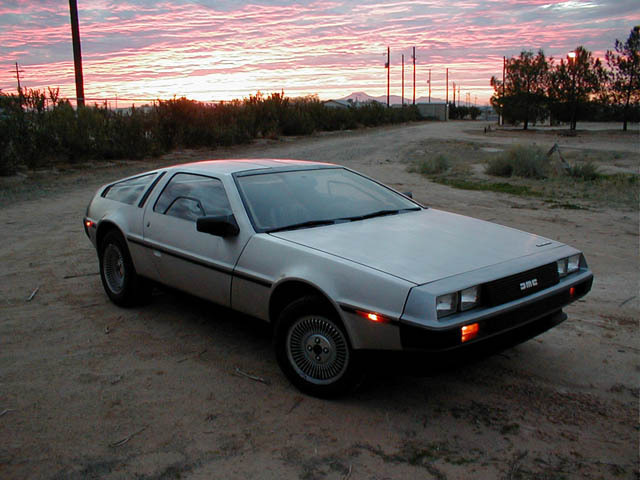 On January 2, 2002, after dreaming about owning a DeLorean for years (and craving any morsel of information about them) my search for the perfect car came to an end. 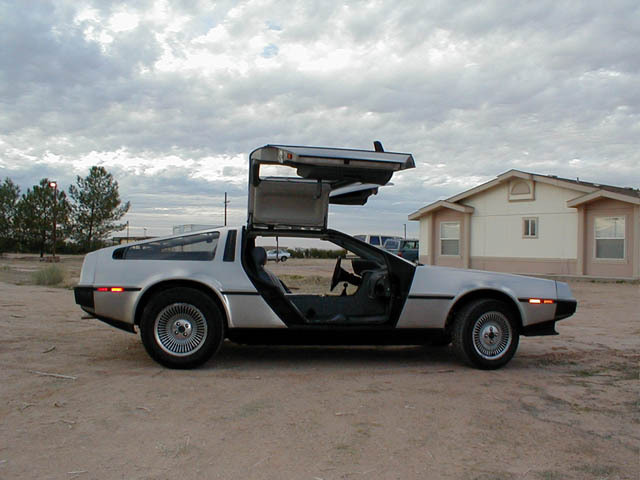 I drove about one and a half hours to see and drive what would become my very own DeLorean! 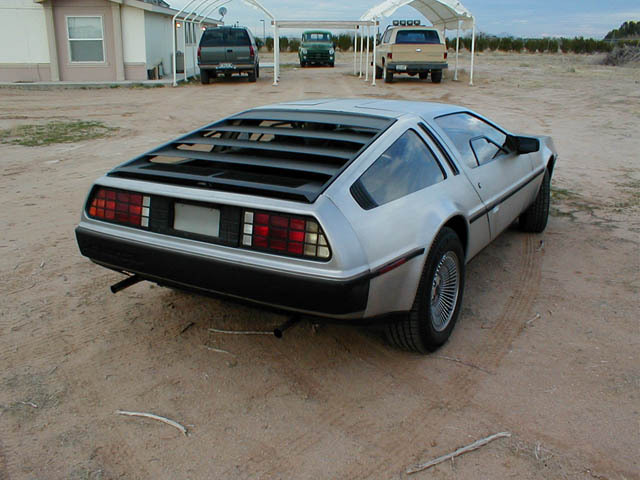 The car has been in the desert southwest all of it's life. 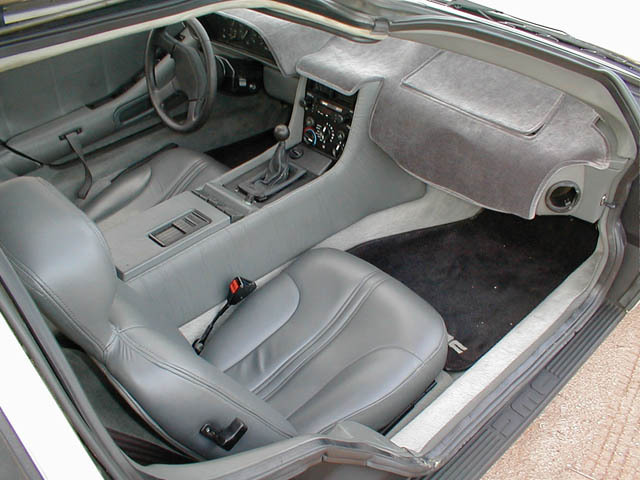 Upon purchasing the car, a few of the typical items were required to freshen it up. I replaced all of the struts, I changed the gear shift boot from the plastic frame style to the stainless steel frame, and I replaced the original plastic coolant bottle for a stainless steel unit. 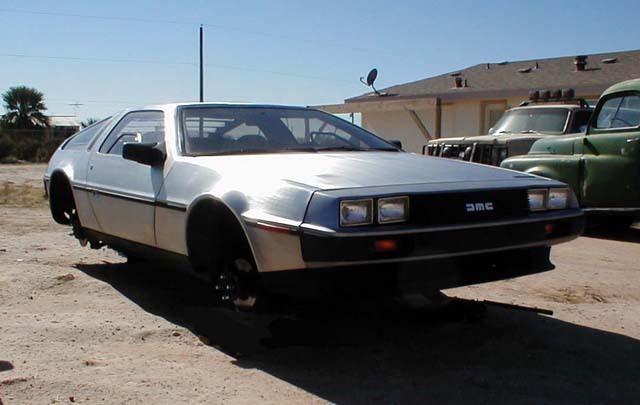 Since then I have done many, many more upgrades and repairs, including building my own Electronic Fuel Injection to replace the antiquated Bosch K-Jetronic system. 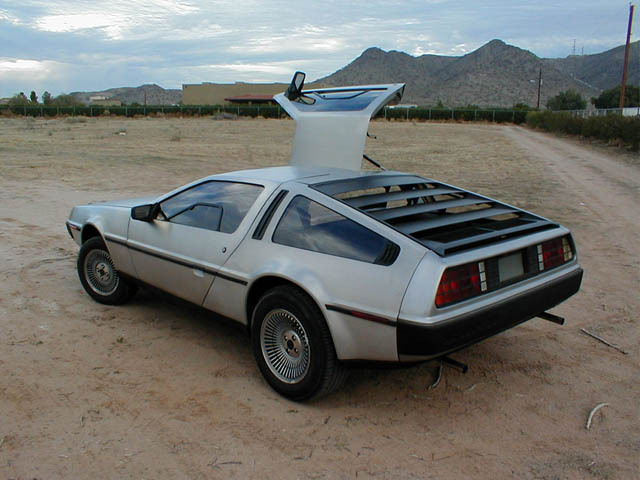 Check out some of the car's updates here.